The ego is a third dimensional tool our human body uses for and identity and protection. As we move toward the fifth dimension, some say we need to get rid of it, some say we need to tame it, and some say we should love it. What actually is our ego and what should we do with it? The ego’s job is to protect us and to keep us from knowing who we are in the veiled experience of third dimensional incarnation. It has been termed the “lower self” compared to aspects of our oversoul that exist in higher vibrational dimensions. As multidimensional selves, when we came into this body we knew that we would forget who we were as part of the experience of lower dimensional existence. The ego is not who you really are. It is your self image and is not even the image that others may see. It is a mask of approval, it wants to be in control, and it is driven by fear. It is partially responsible for not allowing you to love yourself 100% because it hides who you are. Identifying why we have this lower self and the aspects of it is essential in the awakening process of ascension. Removing this veil sheds more light upon areas of ourselves that need healing. In order to get to the core of the self, we have to begin peeling the layers of the mask to reveal what lies beneath. A shadow self is part of the “alter ego” and facing it is called going through the dark night of the soul. Part of the ego’s job is to allow other parts of your soul to come forward to be healed in this reality because we cannot take this part of with us into the higher dimensions due to the Law of Vibrational Attainment. The goal is to heal all of our lower energies and become whole again in a higher vibrational existence. Facing our shadow self can be a frightening experience, and is probably the number one fear of an individual. When you are ready, the third eye mirror mediation is a good way to see the different multidimensional aspects of yourself. Just by acknowledging that they are a part of you but intending that they be healed and integrated into your heart space, light is shed on the shadows and a new way of being can finally be achieved. Our subconscious mind is connected to Source. Our conscious mind (ego) sometimes feels the opposite. For example, if a person has a life threatening illness, the ego may be in fear of dying, whereas the subconscious mind or higher self knows that there is no real death of the energy that is your soul. As we planned, at a trigger point in our life we begin to awaken to the fact that we are multidimensional souls having a physical human experience. When we realize that there is a higher aspect of us that we are tethered to, the ego begins to fear that it will lose its identity. Part of the ascension up the spiritual ladder is to “lose” the ego and expand your consciousness to focus on a higher aspect of yourself. Eventually as we strengthen this connection with our higher selves and our oversoul, we will not need the ego’s identity or the third dimensional experience anymore. However to completely lose it would defeat the purpose of living in physicality right now. Instead, we can work with the ego to help it lessen its hold on the veil that shelters the truth from us as we continue to move toward being able to handle the truth. In order to “lose” the ego it is important to first recognize that is was a very necessary component of our spiritual awakening process. Having an identity other than what we really are sparked a deep withdrawal into needing something more in order to fulfill ourselves. This led to trying to fulfill ourselves with many things over and over until we realized that there was nothing that would fulfill us but love for ourselves. At this point we owe our ego a big round of applause for getting us to the breaking point from searching for answers outside of ourselves. Gratitude is necessary in order to release the ego of its job that it was created for. In order to work with the ego in releasing it of its duty, thank your ego out loud for the stellar job it did of providing identity during the veiled aspect of your consciousness in the third density expression. Let it know that now you wish to explore the higher aspects of yourself and that you need to work together to allow this to come forth in your reality, even if that means it will need to eventually step aside in order to let your higher self take the wheel. Part of the “taming” of the ego involves reversing the programming we have received as a part of societal living. If the ego is the lower aspect computer, then programming is the software. It is time to uninstall the software that keeps us in the illusional lower vibrational reality. –Stop being offended. As Don Miguel Ruiz says, do not take anything personally. What others say or do is a projection of their own reality through their own false self. Often people consciously say the opposite of what their subconscious is thinking. Our subconscious follows the golden rule, and as we let more of our subconscious or higher self in our reality, we begin to refrain from saying things to others that may offend them as well. –Let go of the need to win. Although games and challenges can sometimes have a positive influence on our advancement, we are in the process of letting go of third dimensional games as we move toward a higher way of living where there is no competition. –Let go of the need to be right. One person’s right is not necessarily another person’s right, as we all see things differently. When you let go of the need to prove that you are right, you reduce the opportunity for friction and argument. This is not meant to become passive or to stop standing up for your truth. Rather it is better to walk away from lower vibrational situations and instead focus on keeping your vibration up by standing in your truth by example. Choosing your battles wisely this time around is the key to advancement. –Let go of the need to be superior. We are all a spark of the one Creator having an individual experience. While some are on a faster track to enlightenment than others, we should not judge those who take a different path as all paths converge to one. In the higher dimensions, we still retain our individuality but we know that we are all swimming in the sea of love that makes up the whole. Superiority is often confused with having knowledge or experience, and is one of the things that cause the patterns of falling civilizations over time. –Let go of the need to have more. Ego driven materialism is the downfall of humanity and is fueled by those who wish to keep us indebted as slaves to an economic system. Once you realize that these things do not fulfill the black hole within, you begin to let the need for them to fall away. A balance of having things that are necessary for comfort while losing the obsession or emotional attachment to them is the higher path. By getting rid of the unnecessary clutter in your life you make space within yourself for expansion. –Let go of identifying yourself by your achievements. Many people fear looking within themselves to find out who they really are apart from their title from a job or family status. This leads to crisis in life when it comes time for retirement or when the kids go off to college. There is no college degree, job title, social status, or award that will serve you in the ascension process. –Let go of your reputation. What other people think of you is none of your business. 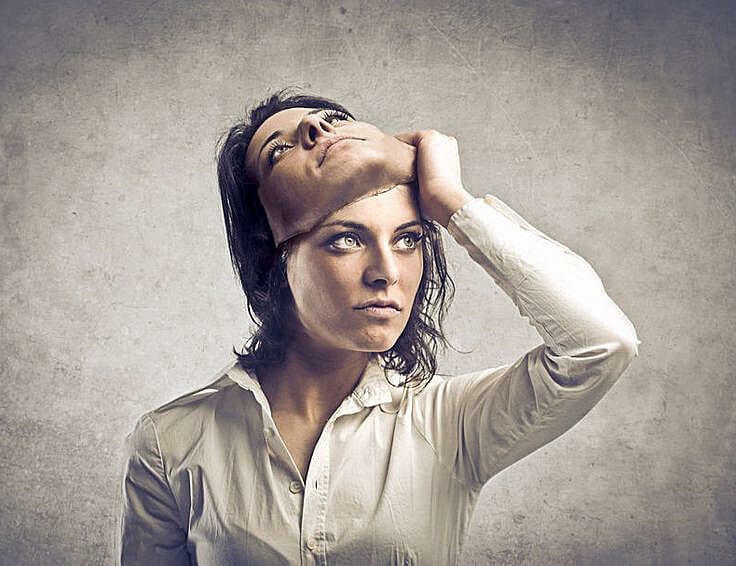 Some people get so obsessed with how they are seen by others that they lose themselves in false identities. It becomes a chore to try to remember who they are with one person or another. Being your true, authentic self is the best way to show love for yourself. Some people have much they could share with others about their awakening process or extraterrestrial contact but their ego will not allow them to share for fear of ruining their reputation. Michelle Walling, CHLC is a Holistic Life Coach, international public speaker, writer, webmaster, and radio show host. In 2013, Michelle started her public career as a spiritual, metaphysical, and esoteric guest writer for In5d.com and bodymindsoulspirit.com. Michelle is the webmaster for five websites including MichelleWalling.com, cosmicstarseeds.com, thestarchildren.net, and howtoexitthematrix.com. Michelle is the host of In5d’s Cosmic Awakening Show and In5d Network. Her personal Facebook page can be found here. Tags: ascension, black hole, dimensions, ego, enlightenment, higher dimensions, spiritual, spiritual pride, What Is The Ego And How Can We Transcend It?